Eat like you're at the old ball game at Casey's Corner. If you’re at Magic Kingdom and craving hot dogs or fries, look no further than Casey’s Corner. Located on the very end of Main Street (on the left if you’re looking toward Cinderella Castle), Casey’s offers standard ballpark fare such as Hot Dogs, Cracker Jacks, and Cotton Candy. 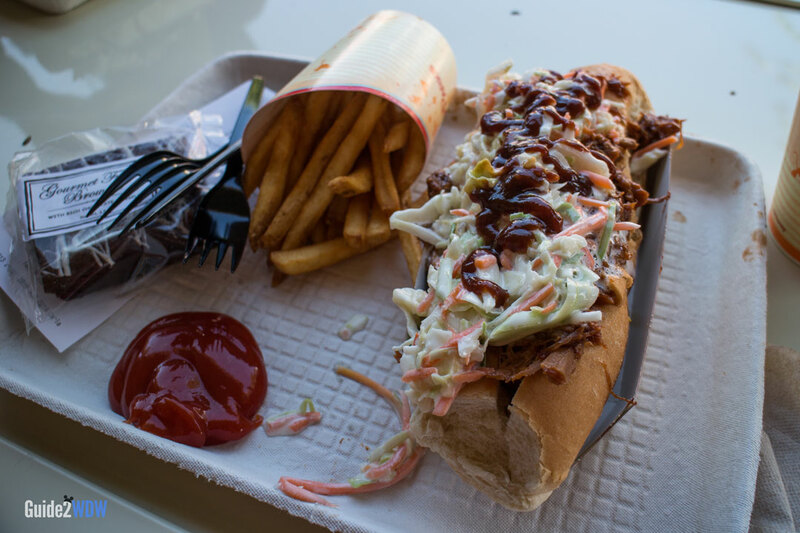 You can go for a simple hot dog, or get a bit fancier with toppings for the dog by ordering a Chili-Cheese Dog or Barbecue Slaw Dog. Hot Dogs are available in two sizes at Casey’s Corner. However, the must-order item here are the Corn Dog Nuggets. These are mini-hot dogs dipped in a golden corn dog batter and fried to perfection. It’s a Disney World twist on pigs in a blanket and it is delightful. This is a great place for Disney World guests to grab lunch and snag a seat on Main Street for the afternoon parade. Casey’s Corner begins serving at 11AM. Entrees – All Entrees are served with Apple Slices or French Fries. Assorted Fountain Beverages. $2.99 for regular and $3.29 for large. Note: Menus for Disney World restaurants change on a somewhat regular basis, so the menu listed above is subject to change. For the most up to date menu, check out Disney’s official Casey’s Corner menu.